But of cause, the search space can be massive, so not always successful. Though it should find simple bugs that are often overlooked, such as illegal characters in the text fields (or in this case API calls?). Any extra tools for getting jobs done are nice. Re: Nice. bugged games nostalgia? I remember Match Day (on the Comodore 64) - used to see the top half of the goalie halfway down the pitch rather often - hard to overlook that bug. "A new word for what in the 1960s we called "testing"." Rather a new tool called fuzzing to use in something still called testing, according to the Wiki anyway. "Fuzzing or fuzz testing is an automated software testing technique that involves providing invalid, unexpected, or random data as inputs to a computer program.". We used to use the librarian and scripts to attack anything in libraries with bucket load of made up data to see what things fell over. Alas GUIs caused problems for a few years until things stabilised enough to attack them sensibly. A new trendy name does not mean a new technique. "a person inclined to question or doubt accepted opinions." "an ancient or modern philosopher who denies the possibility of knowledge, or even rational belief, in some sphere." "a person who questions the validity or authenticity of something purporting to be factual. 2. a person who maintains a doubting attitude, as toward values, plans, statements, or the character of others. 3. a person who doubts the truth of a religion, especially Christianity, or of important elements of it.". This would all make me very sceptical was it not for my spellchecker who demands me to be skeptical. Quite frankly I think Linus should have gone with some nice swear word for less confusion and not risking being considered mean and breaking hearts. (And once again I realize I am retired). "At least you didn't say anything mean about Unicorns." 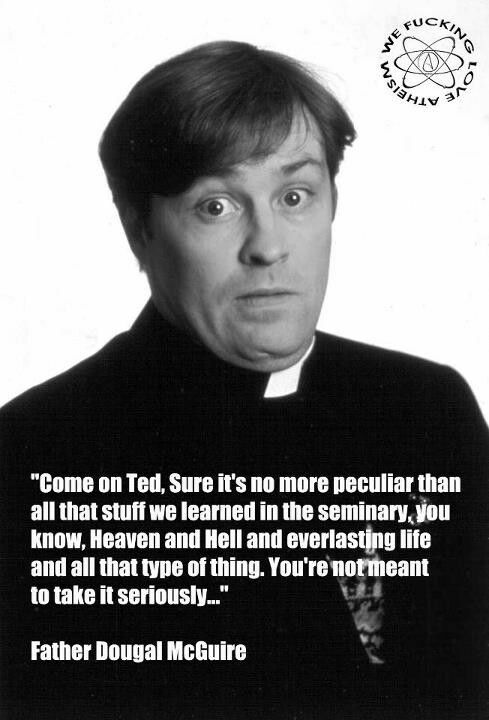 I suspect that his views on Unicorns may be similar to Father Jack's views on tea cups. Well if he doesn't like it why doesn't he write it himself? When he didn't like his choices of software management he took a few weeks off and wrote his own. It is called GIT and is very popular. I don't think you got what he was writing about, in other words, you did not read it. "Now whos waiting for the linus tirade at whoever wrote the WPA supplicant ....." - On security matters, Theo De Raadt's rants tend to be better.